Moroccan outdoor﻿ fountain zellige of Marrakesh for garden decoration. Fountain delivered on mini-wheels with a water pump and a power supply. 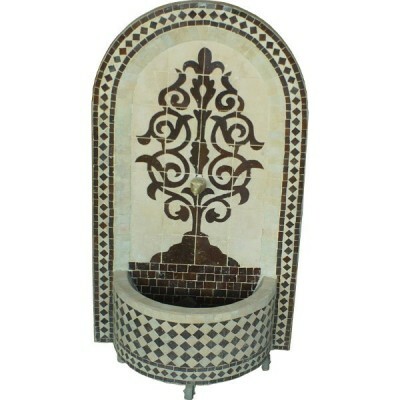 To create at home the Moroccan atmosphere of Marrakesh Riads.